Everywhere you go, there will be something that people say can't be found anywhere else, or something that was created right there. 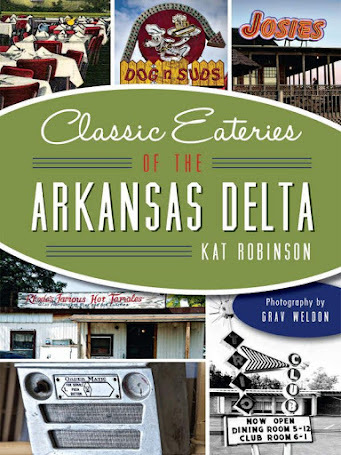 In Arkansas, we all know about fried pickles in Atkins and that Petit Jean hot dogs come from Morrilton. 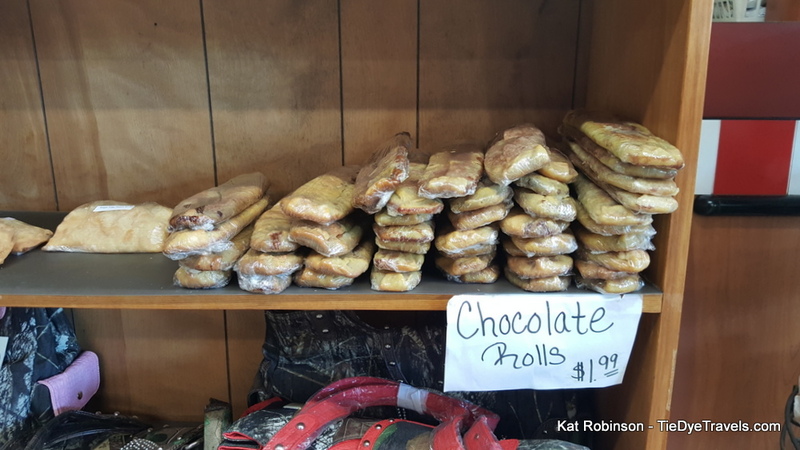 Searcy County, buried in the hollows of the Arkansas Ozarks, has its own claim to fame in the form of the chocolate roll. Haven't heard of this one? You'll want to stick around for this. The chocolate roll has been made by families around Searcy County for decades. I can attest to this. My brother's grandmother, Shirley Diemer, made these crumbly concoctions in her kitchen. I can remember that crusty, chocolate combination back to the age of ten. Shirley, as the rest of the Diemer clan, was from the Leslie community. 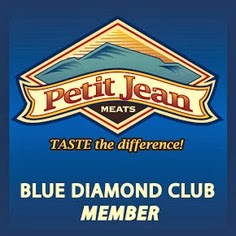 A few years ago, I was contacted by folks up that way about a possible new festival around this foodstuff. 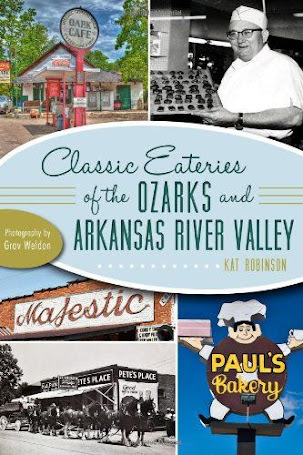 It took a few moments for me to conjure what was being spoken of... at the time, I was dithering over a description of the butter roll, a similarly named dessert confection popular in Arkansas's Delta. Then I remembered how a crust was rolled out, similar to the way cinnamon rolls were, heavily rubbed with butter and sprinkled with cocoa powder and sugar... and my memory was jogged. Ah. Chocolate rolls. 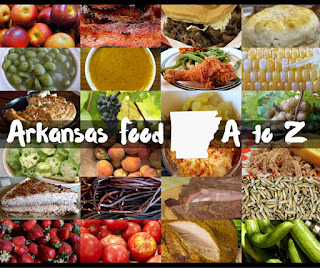 Searcy County proceeded to go about the celebration of this native foodstuff, but the word has not spread far. 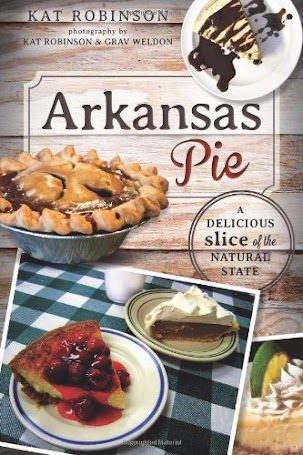 Ask someone outside of north central Arkansas about the dish, and you may get a confused look. No worries, I know where to get them. See, there's this place where great pastries can be found, right in Leslie. Okay, there's Serenity Farms Bakery, sure, but I'm talking about Misty's Shell Station. 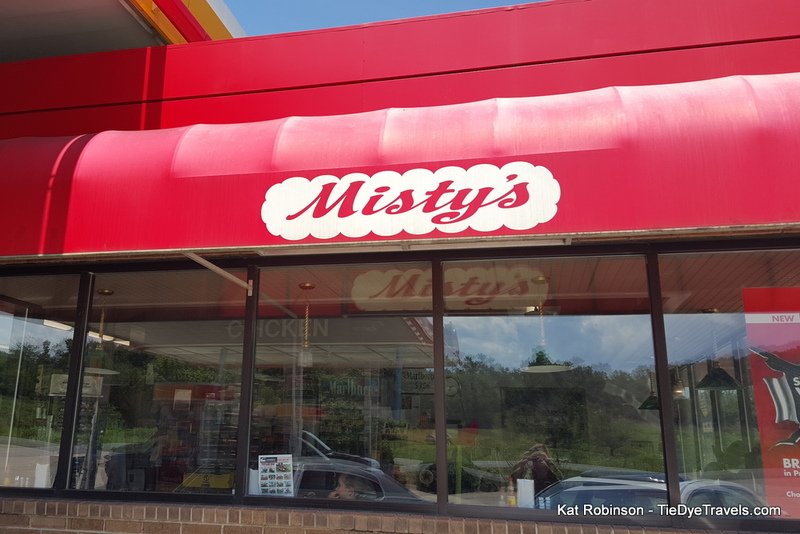 Located right along US Highway 65 just north of downtown, Misty's has been serving the community for decades. Fried pies have always been a favorite here, and it's one of the sure-bet places to find Ratchford Farms jerky on the trip up north. Folks there are helpful and they give good directions. On a shelf inside the store, right by the hot stuff counter, you'll usually find a pile of elongated chocolate rolls. They're flat, wrapped in plastic and sold for $1.99. That's a sharing piece right there, a twelve inch stick of sweet, and that stack has to be replenished about every day. You get one of those, you have yourself enough sweet to get to Harrison or better. 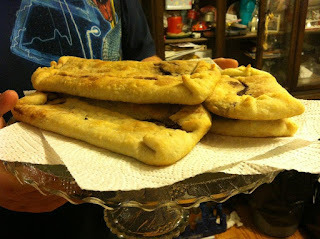 It's buttery, slightly crunchy, crisp and chocolatey, and regardless of its appearance it should justly be celebrated. Incorporate all pastry ingredients into a pie crust-like dough. Roll out. Cream together cocoa powder, sugar and butter and spread on surface of pie crust. Roll from one end, tucking in sides like you would a burrito. Bake at 350 degrees for 10 to 15 minutes or until golden and molten. Let cool 10 minutes before serving. Where on 65 is this? On 65 North just outside Leslie as you head toward Marshall. I will have to remember this if I'm ever in Searcy. 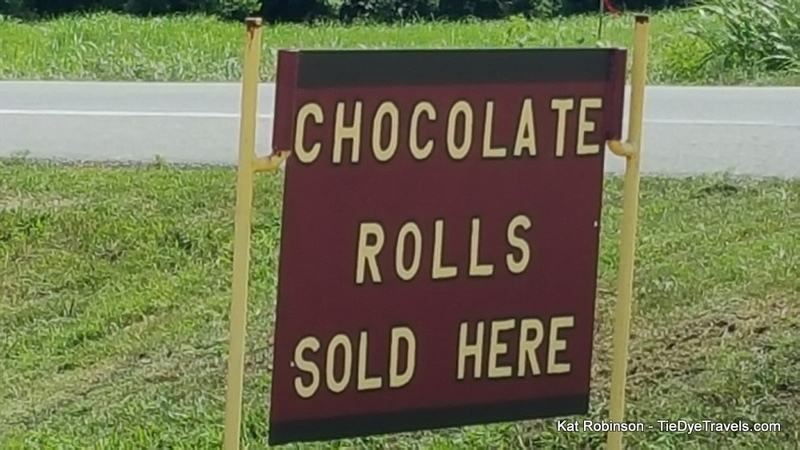 I'm from searcy.had never heard of a chocolate roll. They are in searcy county. Had my first one the other day and omg! Awesome! Almost as good as chocolate gravy and biscuits! We just stopped at Misty's for the first time today, and when I searched for a chocolate roll recipe I found your blog. My chocolate roll was delicious- my mistake was only buying one! I just stopped there and got one. Hadn't heard of them before. Can't wait to eat it! My husband and I just went to look at property in Leslie, Arkansas over the weekend. 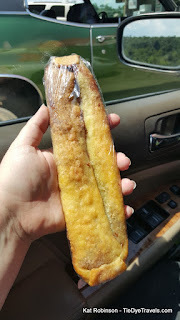 While stopping in a convenience store / Diner I noticed a man grab about 5 of these "chocolate rolls" and I asked what it was....he stayed that his wife calls them "heaven rolled up with chocolate". We had to buy one for the novelty factor, only to shortly turn around and go back to buy a few more....simple, easy and quiet frankly, heaven in your mouth!! So glad when I went on Google to find this recipie that I found this blog!! My mom is from Leslie and has always made these. She adds pecans sometimes. Love them. My Mom grew up in Stella, Arkansas. She always made these for me as a kid. So good! My Mom is from Stella. I remember her making these when I was a kid. They are sooooo delicious! My granny Grider from Quitman Ar, always made these when I was a kid. Best thing ever! !She always hide them in the cabinet on a plate!!! !